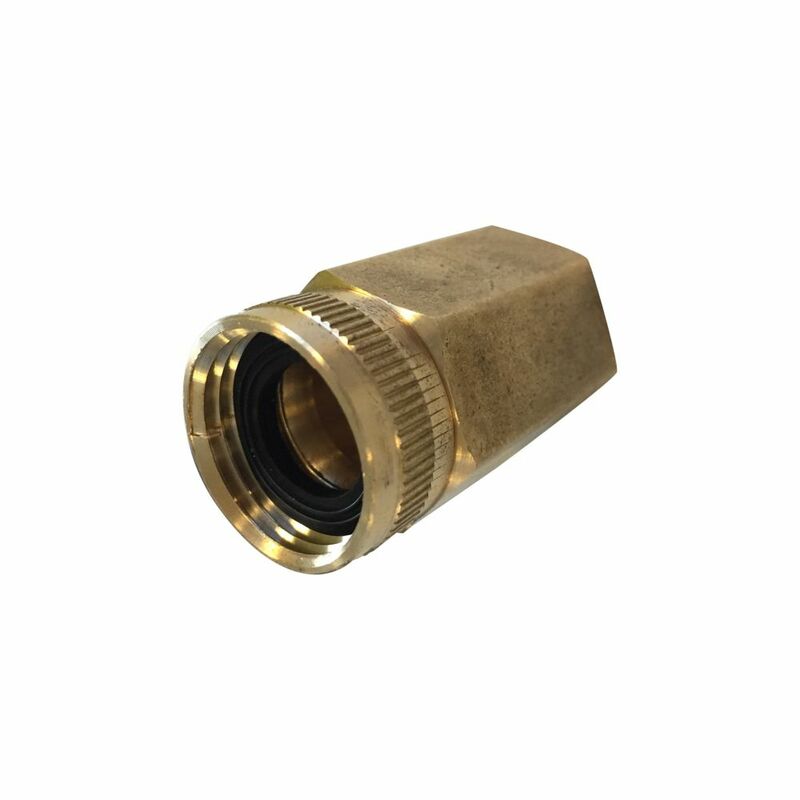 Quickly and easily upgrade your pressure washer's hose connection with the SPX-BSCXL brass connector. The connector fits all Sun Joe SPX pressure washer series, among other brands. It fits from garden hose to pipe end. Irrigation Pro standard poly is suitable for pressure applications up to 100psi. It is light weight and requires only simple hand tools for installation using a wide variety of ID-size fittings. A unique formulation protects against UV rays in above-ground installations. Smooth interior walls allow a lifetime of operation without loss of carry capacity by eliminating build-up of calcium and other deposits: the water distribution line stays cleaner longer, providing better water quality. Its flexibility allows for bending during installation and absorption of water hammer and impact without damage. Comes in 400' coils for long runs. Pipe with the Stripe<sup></sup> White Stripe standard poly is suitable for pressure applications up to 75psi. It is light weight and requires only simple hand tools for installation using a wide variety of ID-size fittings. A unique formulation protects against UV rays in above-ground installations. Smooth interior walls allow a lifetime of operation without loss of carry capacity by eliminating build-up of calcium and other deposits: the water distribution line stays cleaner longer, providing better water quality. Its flexibility allows for bending during installation and absorption of water hammer and impact without damage. Comes in 400' coils which are marked sequentially for easy measuring. capacity by eliminating build-up of calcium and other deposits: the water distribution line stays cleaner longer, providing better water quality. Its flexibility allows for bending during installation and absorption of water hammer and impact without damage. Comes in handy 100' coils which are marked sequentially for easy measuring. SPX Series Dual Swivel Brass Connector 3/4-inch x 2-inch Garden Hose to Pipe End Quickly and easily upgrade your pressure washer's hose connection with the SPX-BSCXL brass connector. The connector fits all Sun Joe SPX pressure washer series, among other brands. It fits from garden hose to pipe end. SPX Series Dual Swivel Brass Connector 3/4-inch x 2-inch Garden Hose to Pipe End is rated 2.3 out of 5 by 3. Rated 1 out of 5 by Frank from I purchase this item to replace the plastic one that came with the unit that leaked a bit. This o... I purchase this item to replace the plastic one that came with the unit that leaked a bit. This one leaks even more then the plastic one. I plan to return this to Home Depot. Rated 1 out of 5 by LIGirl from leaks really bad. I reurned it. leaks really bad. I reurned it.